Every guitarist needs a solid collection of classical pieces to successfully perform at weddings, private parties, restaurants, and other venues. 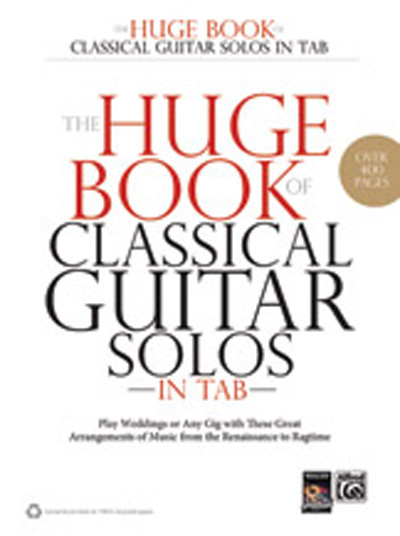 The Huge Book of Classical Guitar Solos in TAB is your ticket to playing any of these occasions with ease. With over 150 solo guitar arrangements of the best-known classical pieces, this collection features both standard music notation and TAB to make learning the pieces quick and easy. It includes compositions from various parts of the world and numerous periods in music history---from the Renaissance to ragtime. With over 400 pages of music, you will be ready for every solo gig that comes your way.